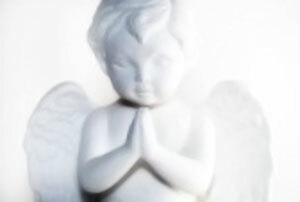 In the Angels´ Week there will be daily meditations, which you can join online or even locally. You are welcome to take part and bring with you all interested friends and relatives. The meditations are for free of course. The angels will be described before each meditation, contact the location for their exact schedule. If you don’t find a place close to you, you can also participate simultaneously at home. By resonance with all the participants throughout the world you will have an easy unison with the Angels. Make yourself a cosy place, disconnect the phone, light a few candles or incense sticks, whatever brings you into a relaxed, happy mood. Read the description of the Angels a few times and try to make yourself a clear as possible vision of them. Sit down for meditation in a comfortable position or a chair, relax your body, your emotions, your feelings and finally your mind. Listen to the inner silence. Feel deep inside yourself and remain, as good as possible, in this inner silence. If you now call the angels from deep in your heart, they will appear to you very fast. They are already patiently waiting for us. * All times are GMT/UTC. Find the times for your location. The times indicate the synchronized meditation periods. Please consult with your local center or the online schedule linked above to find out the starting time of the event itself that includes an extensive presentation and preparation before the actual meditation.